Mention to your friends that you’re redoing your kitchen and you’ll hear everything from advice, to groans, to murmurs of envy. Everyone who has ever redone their kitchen has a story, but all agree that it is well worth the planning and effort. Why? The rewards you reap are spectacular! You benefit now because you’ll get to enjoy cooking, eating, and entertaining in an area you designed yourself. You benefit later because a remodelled kitchen is one of the surest ways to boost your home’s resale value. A 2017 article on Zillow.com reported that a kitchen renovation is one of the best investments you can make to increase your home’s resale value. Bathroom redos rank high as well. 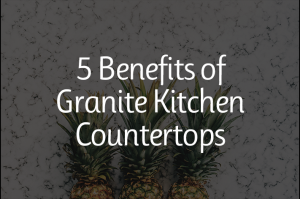 Whether you decide on a total transformation of your kitchen space or just a face-lift, make sure you pick quality materials. 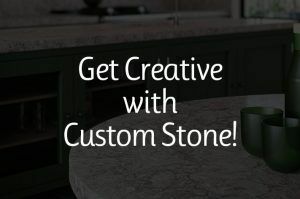 Even replacing worn, dated laminate with granite countertops or quartz countertops will add a new, timeless look that you—and future buyers—will appreciate. Other options include marble countertops or a new kitchen sink with fixtures. Another way to give a kitchen a new look is to add a kitchen island. Not only will this create a gathering space for friends and family, an island is an excellent way to increase counter space and storage! As long as you are renovating your kitchen, why not consider doing your bathroom as well? A newly renovated bath is another top contender for raising resale value. Choose one of several new bathroom vanities, a shiny new sink, and more to build the bathroom of your dreams. Get started on your ideal kitchen and/or bath by going through our handy reference guides, contacting our friendly and knowledgeable staff, calling for an at-home personal consultation, or checking out our fine showroom in Lakemoor. Our decades of experience ensure you’ll get the quality products and service you deserve. 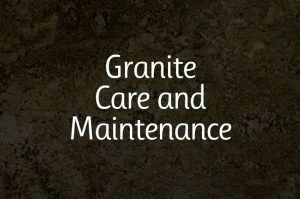 We call it The Stonecrafters Difference. Don’t wait – your new space is just waiting to be created!